In 1970, President Nasser died and was succeeded by Anwar Sadat. Sadat switched Egypt's Cold War allegiance from the Soviet Union to the United States, expelling Soviet advisors in 1972. Egypt got the chance to purchase non soviet weapons too. 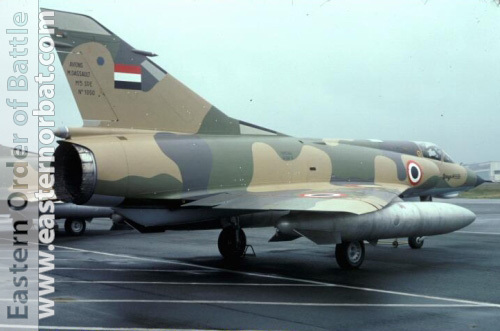 The first order placed by Egypt for Mirage fighters were in 1972 and the order was founded by Saudi Arabia. 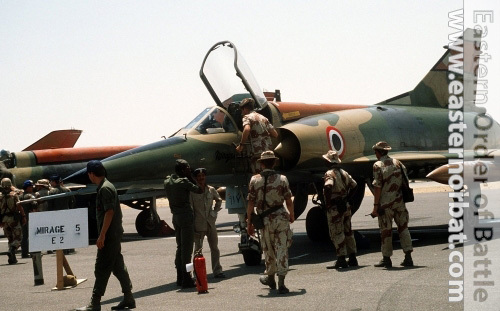 The Egyptian pilots were introduced to Mirage-III/5 fighters in the beginning of the seventies when about 20 Egyptian pilots traveled to Libya to fly its Mirage fighters as part of Libyan support program in which Libya offered its fighters to help the EAF in its war with Israel. 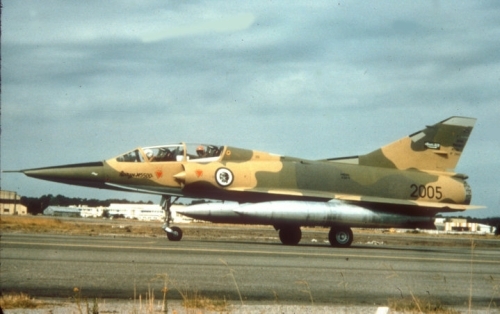 Egyptian pilots flew Libyan Mirage fighters during the war and they were pleased for its high performance. 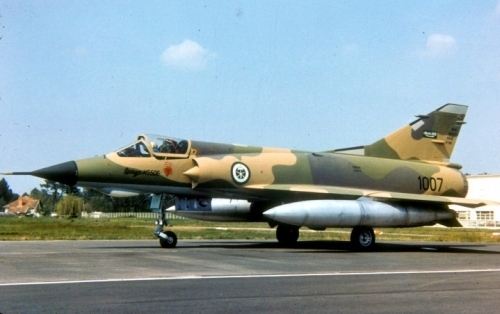 In 1972 Saudi Arabia issued an order for 32 Mirage 5SDE tactical fighters and 6 Mirage 5SDD two seat conversion trainer. These aircrafts were purchased by the Saudis on behalf of Egypt. Their deliveries began in 1974. While still in France all wore markings of the Royal Saudi Air Force, but they never reached Saudi Arabia. Instead, in 1974 all were delivered to Egypt, where the first batch entered service with the No.69 Squadron. 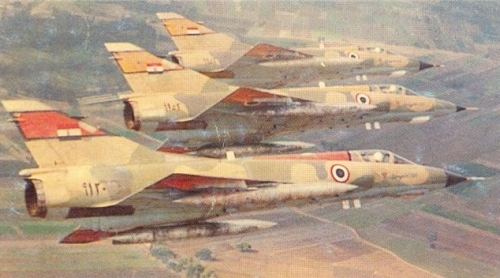 Together with some original Libyan examples of Mirage 5DE and Mirage 5Ds, these took part in the October War, 1973, and suffered some losses. Subsequently, Saudis financed additional deals during the '70s. 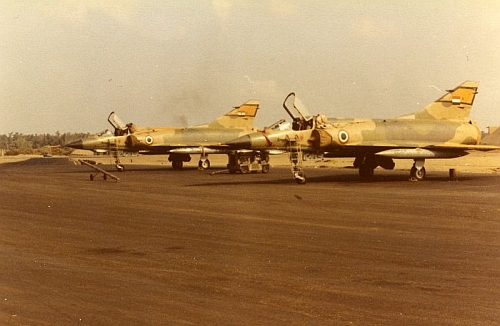 Purchased 14 Mirage 5SDE in December 1975. 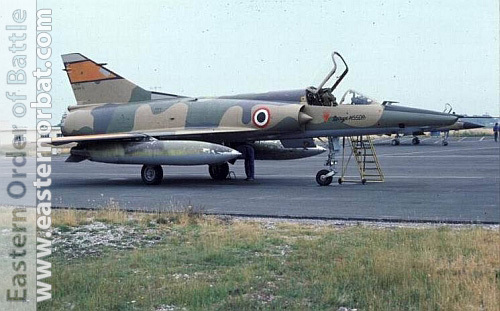 And eight 5SDE and six recce Mirage 5SDR in December 1977. 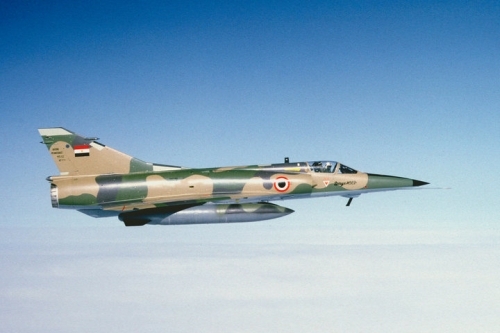 The Mirage 5 was the first western fighter ordered by Egypt since the Vampire and Meteor in 1950. Egypt went in a large Mirage 5 purchasing program in which she purchased more than 54 Mirage-5SDE's, 6 Mirage 5SDD's and 6 Mirage-5SDR's. The French Dassault Aviation delivered 66 combat aircraft between 1974 and 1980. 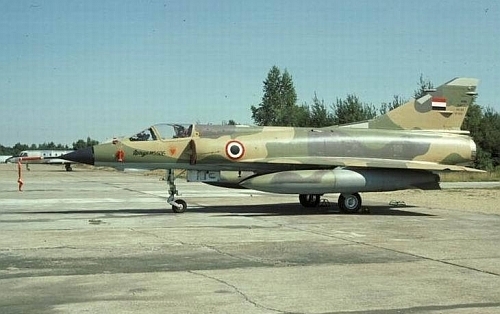 The Egyptian Mirage 5SDE combat aircraft was similar to the French Mirage IIIE fighter bomber. These aircrafts were very good equipped. All of them were equipped with Cyrano IV radar. 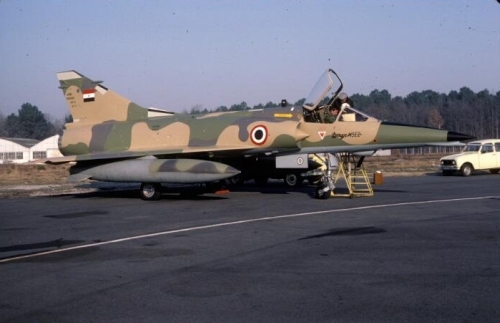 Egypt used these fighters for multi-role missions. Air defense mission using guns, Matra R.530 medium to short range air-to-air missiles and Matra R.550 Magic short-range air-to-air missiles. For ground attack using bombs and rockets. Pictured during a pre-delivery flight is the 1000th aircraft produced in the Mirage III, 5, and 50 range (all using the same basic airframe) that was one of the 54 aircraft purchased by Saudi Arabia and donated to the Egypt AF. 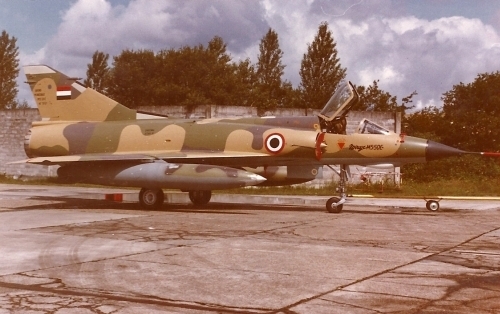 It is accompanied by the 200th aircraft produced in the Mirage F1 series, and was one of the 40 aircraft delivered to the Greek AF as a single-seat multi-role fighter. In 1977 it was a short border war between Libya and Egypt. 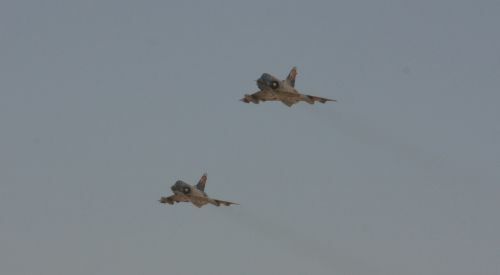 The Mirage 5SDE fighters supported the Egyptian army's units. 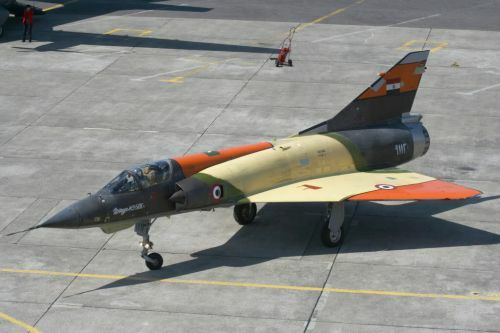 The Egyptian Air Force added orange panels with black-outlined marking that were applied to differentiate Egyptian Mirages from Israeli and Libyan aircrafts, like an IFF system. 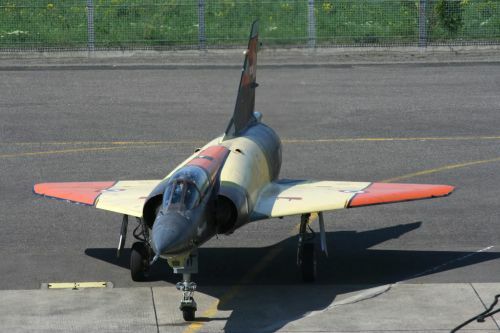 In 1980 the reconnaissance version was delivered as Mirage 5SDR. The 6 Mirage 5SDR-re wasn't equipped with Doppler radar, but with RWR. The Mirage-5SDR reconnaissance version entered service with the No.69 Squadron in 1980. After the Camp David accords were signed by Egyptian President Anwar El Sadat and Israeli Prime Minister Menachem Begin on 17 September 1978, Saudi Arabia cancelled their financial support. Therefore the last purchase, namely 16 Mirage 5E2 in 1980, has already been financed by Egyptians, after their break with Riyadh. 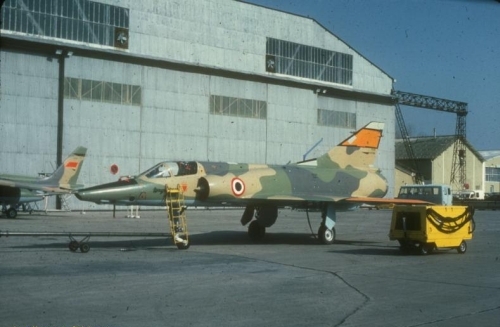 All Mirage 5E2's were delivered to Egypt in 1983 the Dassault-Breguet. The Mirage 5E2 aircraft is a single-seat radar-equipped fighter-bomber version. This is an Egyptian sub variant equipped with the navigation/attack systems of Alpha Jet MS2. 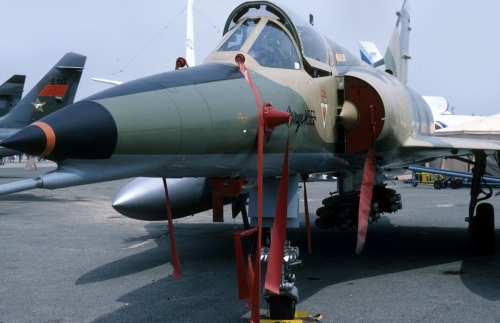 The Mirage 5E2 got the enhanced navigation/attack system, including Sagem Uliss 81 Inertial Navigation System. They were equipped with an Aida RO radar, a HUD and Thomson-CSF TMV630 Laser Rangefinder & Marked Target Seeker. Early Egyptian Mirage 5s didn't have large numbers. Late eighties the Egyptian Mirages received Arabic numbers (91xx) on the back fuselage. In the 80's the Egyptian Mirage 5's participated in the international Bright Star exercise than in 1986 they flew in live missions in secret. 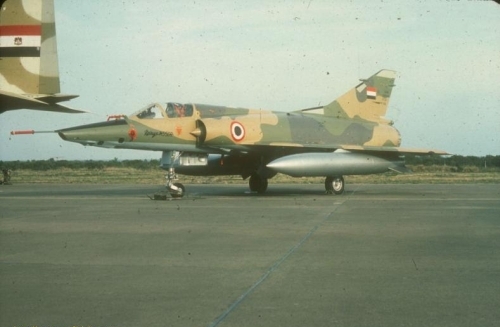 This Egyptian Air Force Mirage 5SDE was amongst a handful of jets deployed to Iraq for six weeks in March 1986 to support the Iraq Air Force in the war against Iran. 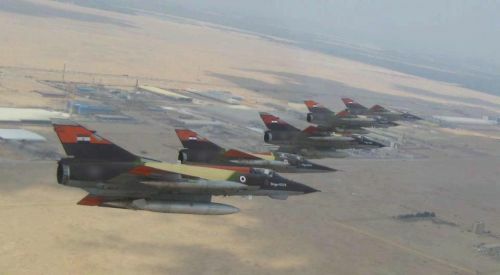 These aircraft’s national markings and serial have been sprayed over, but that parts of fin and spine are still painted in the Egyptian Air Force’s distinctive black and orange. The jets also carries a Selenia ALQ-234 ECM pod on its centerline pylon. 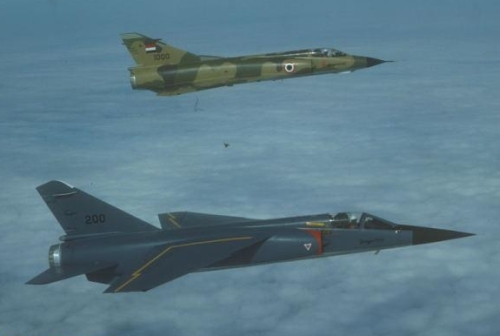 In the air, Iranian fighters scrambled time and again to intercept a growing number of Iraq strikes which were now supported by Egyptian Mirage 5SDEs equipped with Selenia ALQ-234 ECM pods. Numerous air combats developed, but the results were inconclusive due to heavy radar jamming employed by both sides. The Mirage 5SDE’s ECM jamming capabilities adversely affected units equipped with F-4s and MIM-23 SAMs, but the F-14A Tomcat crews had less problems. The picture on the right shows the number 9126 Mirage 5 SDE version with modified camouflage. 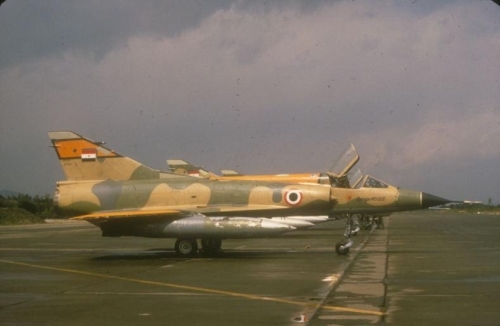 The fighter stands at Tanta Airport equipped with Matra R.550 Magic short-range air-to-air missiles in 1989. The provision by Pakistan Aeronautical Complex (PAC) at Kamra, near Islamabad, of major overhauls and upgrades of some or all of the airframes and engines of the EAF's 13 Dassault Mirage 5 E2 attack version; appr. 45 Dassault Mirage 5 SDE tactical fighters; less than 6 Dassault Mirage 5SDR tactical reconnaissance aircraft; and 5 Dassault Mirage 5 SDD operational trainers at the Mirage Rebuild Facility, which is part of PAC. It isn't known if it was realised. 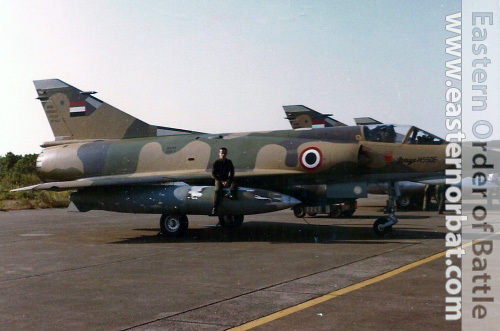 In the eighties Egypt bought 3 Mirage IIIE fighters and 3 Mirage IIIBE conversion trainers from the French Air force to make up for their losses. In the early nighties they received Zaire's stalled Mirage 5M/DM machines to use as spare parts. They received 19 Mirage 5's from the United Arab Emirates in 2005 that were also used as spare parts. 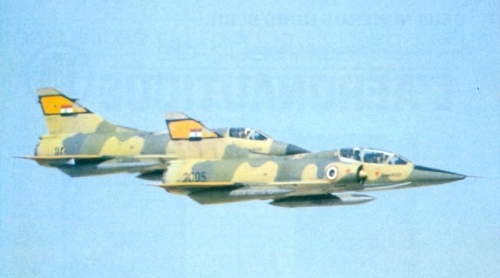 The Egyptian Air Force Mirage 5s operated in the air-superiority role, but were subsequently designed for strike/interdiction tasks. They may be old now, but are certainly still very important assets, foremost because Egyptians established quite a comprehensive support basis for them in the meantime. Cairo entrusted Sagem (Safran group) industrial to modernize the Egyptian Air force’s Mirage 5s. In 2003 a contract for the modernization of 24 Mirage 5s has been signed. The modernization took place between 2006 and 2008. The Egyptian Mirage 5 type will certainly continue to be in service until finances allow for additional modern fighters to be bought.